The state of Washington has 139 designated opportunity zones, including 132 low-income communities, plus 7 non-low-income contiguous tracts. Statewide, a large majority (88 percent) of Washington’s census tracts are located in urban areas. 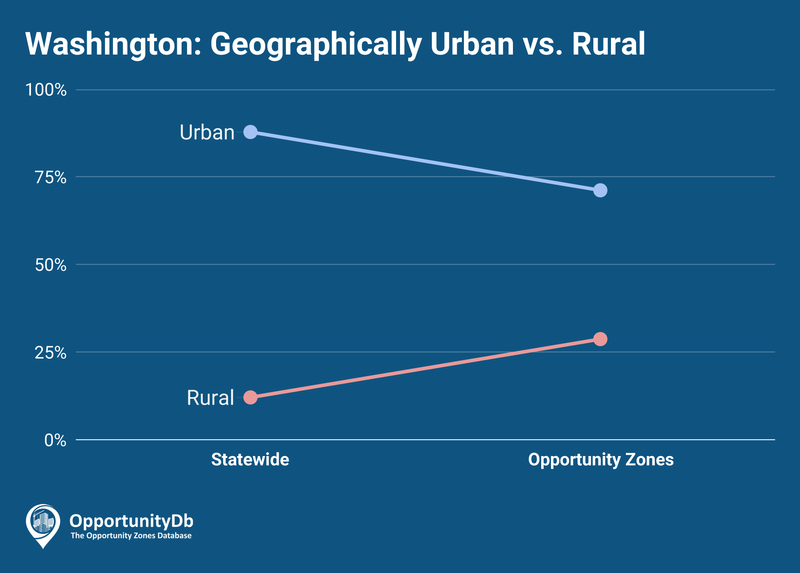 Among the state’s 139 opportunity zones, just 71 percent are urban, and 29 percent are rural. The greater Seattle area is home to roughly two dozen opportunity zones, including one opportunity zone in downtown Bremerton — featured on the Opportunity Zones Podcast.